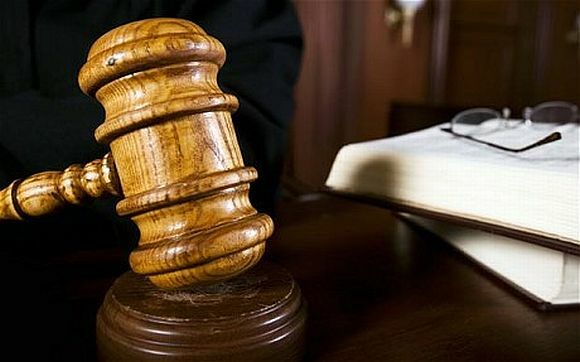 Following the unceremonious exit of Pakistan Prime Minister Yousaf Raza Gilani at the hands of Chief Justice Iftikhar Mohammad Chaudhry, the government is contemplating to table a constitutional amendment for simplifying the cumbersome procedure of the impeachment of the chief justice. 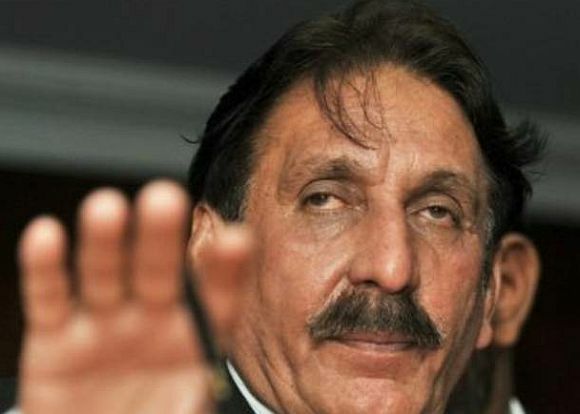 According to informed government circles, the government is contemplating to introduce the said constitutional amendment because it believes that Chief Justice Iftikhar Mohammad Chaudhry was pursuing a political agenda with a view to topple an elected civilian government at the behest of the establishment. Justice Chaudhry was suspended on corruption charges way back in March 2007 by then Pakistani President Pervez Musharraf, which led to a massive agitation against the military ruler. However, just after the 2008 general elections, on his first day of premiership, Prime Minister Yousaf Raza Gilani had ordered the restoration of 100-plus judges of the superior judiciary, including Chaudhry, who eventually disqualified Gilani as the prime minister last week on charges of contempt of court. 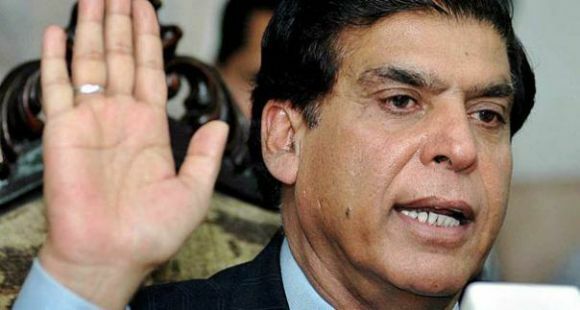 Shortly after the election of Raja Pervez Ashraf as the new prime minister, the defiant Chief Justice has decided to resume hearing the same case that led to Gilani's ouster, thus giving rise to rumours that the CJ was flexing his muscles to create further political instability by knocking down another prime minister. Prime Minister Syed Yousaf Raza Gilani was disqualified for refusing to write a letter to the Swiss authorities for reopening of the alleged corruption cases against President Zardari who enjoys presidential immunity against any criminal proceedings against him. Having disqualified one prime minister for refusing to write the letter, the Chief Justice is set to issue the same directives to the newly elected premier. The whole situation has made the government in Islamabad to consider tabling an amendment to the Constitution to impeach the chief justice without facing any major trouble. The proposed constitutional amendment draft consists of four paragraphs and four sections; sections 3 and 4 of the proposed amendment are related to the impeachment of the chief justice. According to Section 3, the Senate or the Upper House of the Parliament, with two-thirds majority can impeach the chief justice. To recall, the Senate in Philippines impeached Chief Justice Renato Corona, who was accused of concealing movable and immovable assets worth $2.4 million. The impeachment trial of the Philippines chief justice continued for four months and was shown live on television. According to the government circlers in Islamabad, Section 4 of the proposed constitutional amendment says the impeachment process of the Chief Justice will start with a resolution, which would be required to have the signatures of at least half the members of the Senate. The proposal says the chief justice could be declared disqualified after the impeachment trial. Sections 1 and 2 of the proposed amendment are related to the Supreme Judicial Council. Section 1 says only one senior judge of the Supreme Court, except the chief justice, will be included in the Supreme Judicial Council. Section 2 says the chief justices of all the four provincial high courts will be included in the Supreme Judicial Council as its members. On the other hand, however, sensing the government's intentions, Justice Chaudhry has said on June 24 that the parliament cannot legislate any law repugnant to the constitution, adding that no one could claim supremacy over the law. "If such a law is promulgated, the Supreme Court under its power of judicial review can review it. 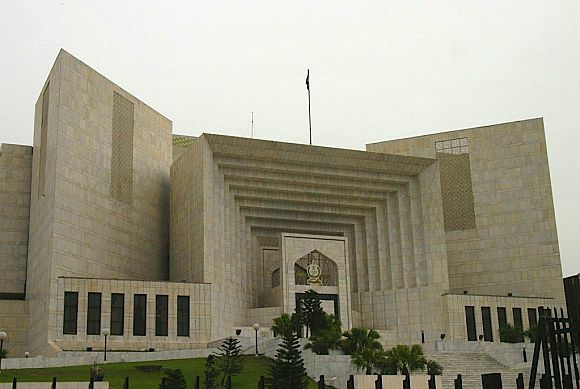 The underlying object of judicial review is to check abuse of power by public functionaries and ensuring just and fair treatment to citizens in accordance with law and constitutional norms," said Justice Chaudhry said while addressing a delegation of Youth Parliament at the Supreme Court. 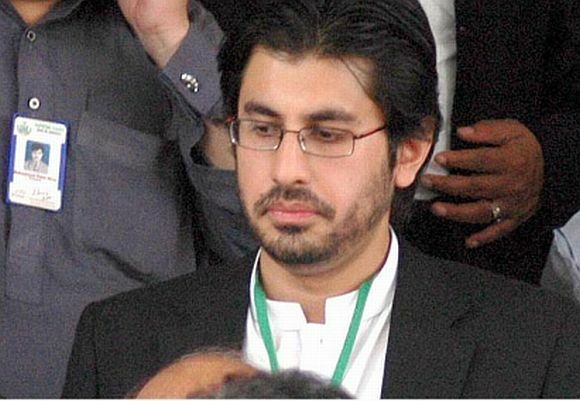 But the PPP government seems determined to proceed against the Chief Justice's son, Arsalan Iftikhar who was recently accused by a property tycoon Malik Riaz of blackmailing him to extract over 350 million rupees to get favourable verdicts from his father involving the financial interests of the builder. In the wake of the allegations, Justice Chaudhry rapidly proceeded against Prime Minister Gilani, who was a close friend of Malik Riaz, and subsequently disqualified him for not obeying the court orders. On its part, the PPP government has already assigned the National Accountability Bureau to investigate the Arsalan Iftikhar-Malik Riaz case. These developments have been followed by media reports that the Zardari government may file a disqualification reference against the Chief Justice in a bid to get rid of him, as had been done by the Musharraf regime in 2006, if it failed to introduce an amendment to the Constitution to simplify the process of the chief justice's impeachment.